Leading Global Blockchain Venture Capital Firm SPiCE VC has invested in InvestaCrowd — Asia’s leading digital securities investment platform for real estate, private equity and venture capital. SPiCE VC, is the first fully tokenized Venture Capital fund and one of the pioneers of the Digital Securities space, investing in the ecosystem of the tokenization industry. “We are excited about this investment and the partnership with InvestaCrowd. As one of the leading investment banking platforms, and in light of the strong expected growth in tokenizing assets through Digital Securities, InvestaCrowd is set to be one of the fastest growing platforms in the region,” says Tal Elyashiv, Co-Founder and Managing Partner of SPiCE VC. InvestaCrowd is excited to announce our strategic partnership with Spice VC. Spice VC is a pioneer in the digital securities industry and a champion of the new world of investing using blockchain technologies. Together we are bringing the most innovative investment opportunities to Asia and creating enormous value to our investor base. 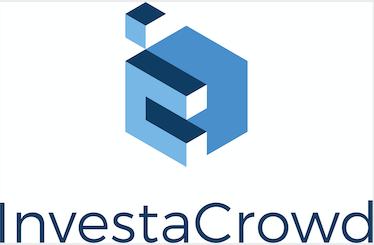 InvestaCrowd is the leading Singapore investment platform for digital security investment offerings and is licensed by the Monetary Authority of Singapore for dealing in securities. Digital security offerings or DSO as they are also called, are simply traditional investments like real estate, private equity and venture capital that issue the shares to investors digitally, instead of on paper.